Do you agree with the Council’s decision to reduce Glenneyre between Thalia and Calliope to one lane in each direction to add bike lines? Well, it’s getting close...the last Presidential Debate is over…After Monday night’s third and final debate, who are you most likely to vote for? Two Council seats are open – who is your top choice? It’s time when people start thinking about their holiday shopping. What percentage of your shopping do you plan to do in Laguna Beach? Laguna has its first new radio station – KX 93.5 FM – since 1942. It can also be heard anywhere streamed over the Internet at www.KX935.com. Have you listened yet? We are a town known for its excellent eateries. People from all over OC have a favorite Laguna restaurant. How often do you, as a local, get out and enjoy dinner at a Laguna restaurant? It is said that people who explicitly make resolutions are 10 times more likely to attain their goals than people who don’t. Will you be making any this New Year? The Laguna Beach Branch Library offers numerous services for all members of the family from a dedicated and competent staff. In the past year, how often did you or a member of your family collectively use our local library branch? For the first time ever, brothers will be at the coaching helm in the NFL’s Super Bowl. Some call it “HARbowl”. Which team will you be rooting for? Now that the local election is in the books – what outcome disappoints you the most? Will you vote for or against Measure LL here in Laguna Beach? Will you vote for or against Measure KK here in Laguna Beach? There were six candidate forums for our local candidates. Did you attend any? As we draw closer and closer to Election Day, most of us probably have our minds made up. If you could only vote for one candidate, who would it be? Of the following regular parts of StuNewsLaguna, which do you favor the most? Do you feel the vote recount begun by Jill Stein will have an outcome that will change anything? 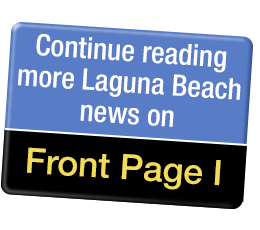 How often do you listen to Laguna’s KX 93.5 FM? What is the biggest value you feel open space brings to our community?